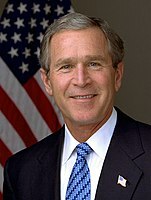 The 2004 United States presidential election in Utah took place on November 2, 2004, and was part of the 2004 United States presidential election. Voters chose 5 representatives, or electors to the Electoral College, who voted for president and vice president. Republicans dominate Utah state politics because of the very high Mormon population that accounts for almost 70% of the residents throughout the state. Mormons have been known for having very conservative values. While every county voted for Bush, areas such as Park City (ski resort), Moab (becoming an outpost for environmental activists), Carbon County (largely blue collar), Salt Lake City (urban area with some diversity) and San Juan County (economically distressed and mostly Native American) did give a number of their votes to Kerry. However, other areas were uniformly Republican in voting. Utah County's (home of Provo and Brigham Young University) Republican vote (86%) was by far the largest percentage of any county its size in America. Technically the voters of Utah cast their ballots for electors: representatives to the Electoral College. 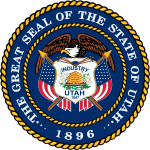 Utah is allocated 5 electors because it has 3 congressional districts and 2 senators. All candidates who appear on the ballot or qualify to receive write-in votes must submit a list of 5 electors, who pledge to vote for their candidate and his or her running mate. Whoever wins the majority of votes in the state is awarded all 5 electoral votes. Their chosen electors then vote for president and vice president. Although electors are pledged to their candidate and running mate, they are not obligated to vote for them. An elector who votes for someone other than his or her candidate is known as a faithless elector. ^ "2004 Presidential Election Statistics". Dave Leip’s Atlas of U.S. Presidential Elections. Retrieved 2018-03-05. ^ "2004 Presidential General Election Results - Utah".